Bliss Dancing Under a Moon II, a photo by Matthew Almon Roth on Flickr. 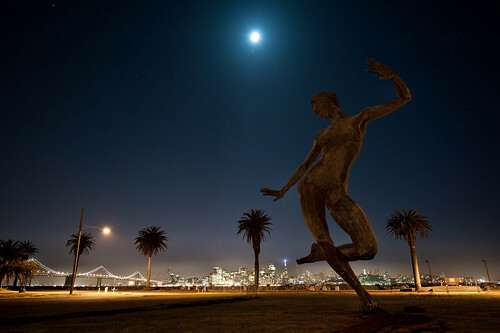 We’re thrilled to collaborate with artist Marco Cochrane in the installation of Bliss Dance on Treasure Island. The artwork will be on display beginning May 1, and will remain until at least October of this year, possibly longer, funds permitting. Come celebrate this artistic achievement with us!